This article is not meant to be a downer, but to inspire professional animal trainers, enthusiasts and performers to come up with creative, unique and amazing behaviors to not only delight their viewers but also to educate and promote the message of an ethical two-sided relationship for animal care, performance and training based on compassion. When I first got into dog training, I was very excited about training circus tricks to show that you didn’t need to use physical or psychological intimidation to train them. At the time, I was told that dogs are great at knowing what is good for them and if you only use positive methods and refrain from using pressure and intimidation to train, then dogs will stop working to tell you they felt uncomfortable or in pain. This is simply not true. The stronger your relationship, the more your animal will do things he finds uncomfortable. Over time I learned that “positive” doesn’t always mean ethical and that dogs just don’t know what is in the best interest of their mental and physical well-being. There is also the problem of a reinforcement schedule that is too lean, where an animal is asked for more and more behavior without enough reinforcement to sustain the performance. Over time the dog can become overly stressed by not being able to get what he wants until he performs. This can be expressed by whining, barking, and changes in breathing, among other signs. This can also happen if a dog is over-aroused by the training and needs help to lower his arousal level. I do love a good competitive attitude. When I first got into training, I loved seeing what clever trick my friends and other trainers came up with. I loved trying to find a way to add a unique twist to the trick to make it even better or ‘own’ it. There was also a pleasure in seeing people taking a trick I created, and putting even a better twist on it than I could have imagined. Now a days I am still enchanted and driven by the amazing creativity of animal enthusiasts and trainers. But I am also seeing a dangerous trend that I believe is bringing back the old-school circus acts. I have seen a sudden excitement about tricks that if gone wrong could jeopardize the dog’s safety and behaviors that push the dog’s physical limits, so that the only way someone can outdo you is to push their dog farther than you pushed yours. I know that this is all unintentional and that no one sets out to push animals further than they can go. 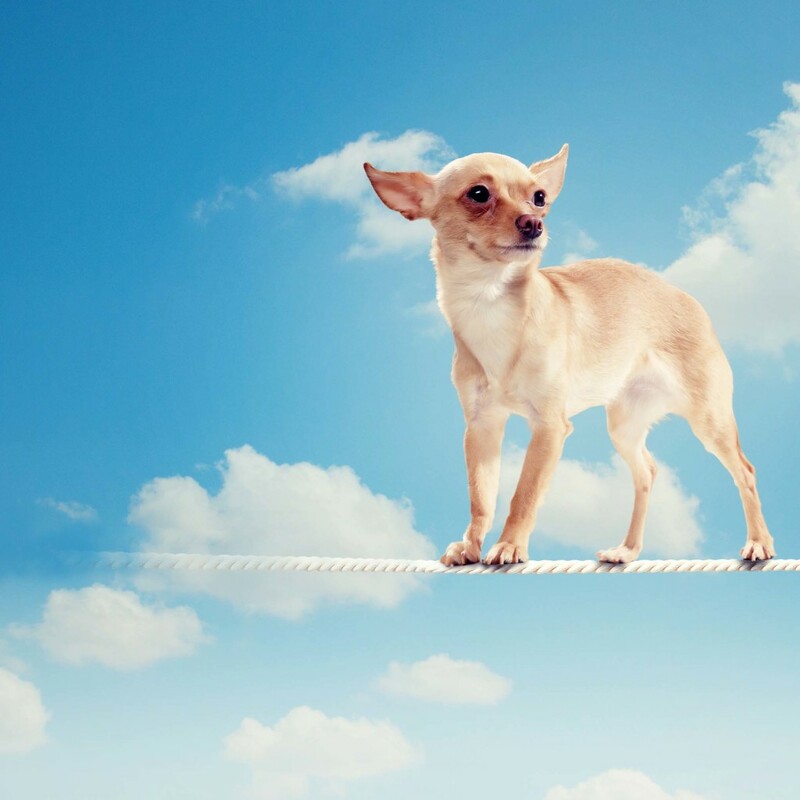 It’s an unintentional side effect, that getting your dog to jump off a higher platform than any other dog, will cause others to push their dog further than yours. It’s not about bubble wrapping dogs, but making conscious decisions about safety and injury prevention. 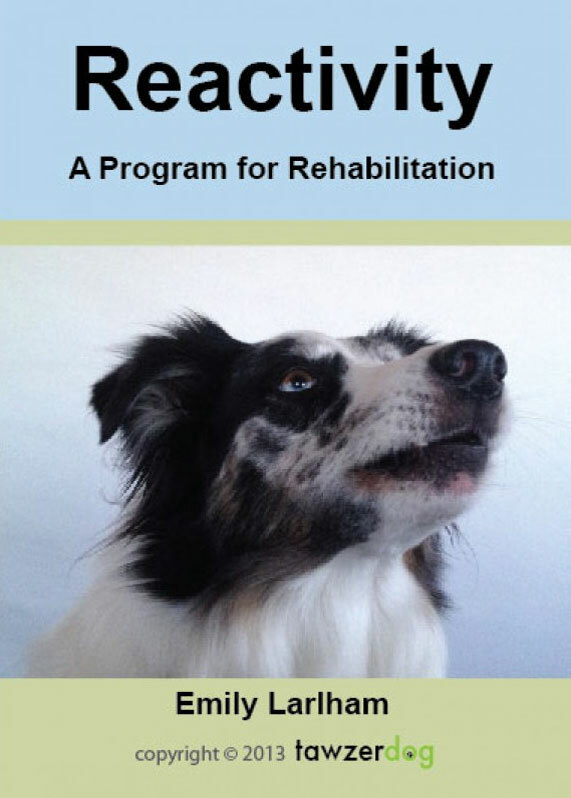 When dogs do things that are physically taxing or repetitive, I believe it becomes necessary to get an expert on board like a Physical Therapist to help plan the conditioning and fitness program that will keep the dog less likely to be unintentionally overworked, sustain injuries or issues that are only seen later in the dog’s life like arthritis. “Bubble wrapping” by not doing ANYTHING is dangerous. Finding out how to keep your specific dog’s body physically fit is a great way to prevent the injuries from everyday life events, like catching the ball when you made a bad throw or running up and down the stairs. We should not judge or criticize those who do things with their dogs that we believe could be potentially dangerous or perhaps cause undue stress to the dog. What we should do is educate ourselves, educate others and teach by example. Telling people what NOT to do, is going to make them more likely NOT to listen to you. Especially if everything you say goes against their strong belief system. Instead we can create change by our own actions and promoting what we do. We all know that people have the best intentions when saying “Don’t try this at home”, but the truth is it can make a trick or behavior seem more appealing to people to copy. If your goal is to entertain and delight viewers the side effect will be that they will copy you as well as try to outdo you. So if your dog is jumping off a platform that is 10 feet high, there will be a teenager at their home having their dog jump off one that is 15 feet high. Their friend will see the video and their dog will be jumping off a platform 20 feet high… As you can see it’s starting to look a lot like a ‘death defying’ circus act… If you remember the movie Dumbo or have gone to a circus as a child, there is an act where the animals jump from a height and are either caught or land in a bucket of water. 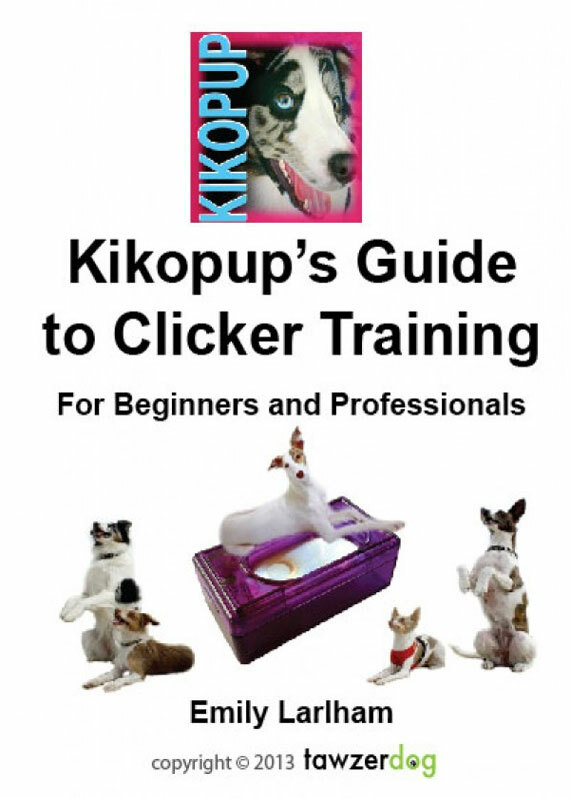 I suggest instead choosing tricks you want others to emulate that you think their dogs will also enjoy doing and also enjoy doing if they “outdo” you. Use an animal refusal as an opportunity to teach the audience the animals have a CHOICE. Rather than repeating cues, using an intimidating tone of voice or physically prompting the dog, let the dog say “Not this time”. I promise people will be more engaged with the act when they realize the animals have a choice not to perform the tricks! When your dog refuses it tells you that something about the behavior either needs more reinforcement, that it could be uncomfortable, that the dog is not physically fit, or that the dog is sick or injured. One day my dog refused to roll over. I didn’t believe that anything could be wrong so I cued her 3 times but she just laid down and looked at me with a very intense stare. I had no idea what was going on at the time. I just thought it was strange. Then that afternoon I saw that she had gotten wet eczema from being wet the day before, and that her neck and back was COVERED in hot red sores under her thick fur. She had known it would hurt to roll over and so refused. I believe it is a valuable lesson to teach the audience to listen to their animals and to allow a two-way communication system. I have seen even the most compassionate trainer, right before performing, turn on their dog because of the stress they were feeling, they didn’t realize the camera was filming them before reaching the stage. This relationship is unhealthy for both sides of the partnership. Learning ways to manage our own stress are imperative. We need to lead by example, show the audience that dogs are all unique and talented in their own way. 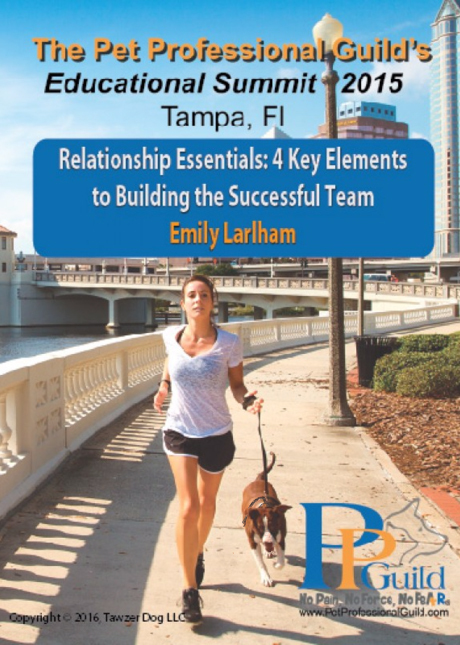 Focusing only on tricks and behaviors that involve a perfect structure, leads the audience to feel dissatisfied with their own dogs, and even rehome their dogs if their structure is not built for the tricks they hoped to do with their dog. I suggest, instead focus on the tricks and behaviors that your dog not only enjoys and finds fun, but that are also good for your specific dog’s structure. 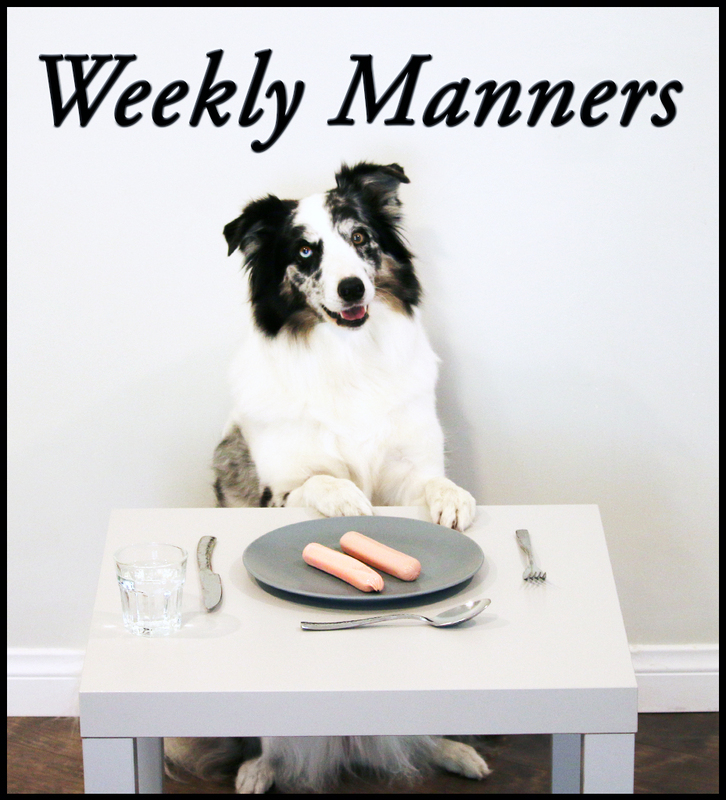 You could have your senior dog perform an amazingly precise behavior or your dog who has a physical disability capture the hearts of the audience with an extremely cute and clever trick. This will get the audience members to go home and appreciate and bond with their dogs, not go home and wish they had a different dog. Disclaimer: I am not saying that doing any trick is “wrong” or “bad”. I am saying that we need to carefully think about what our actions cause others to do with their own dogs. And ways we might prevent this through education. When I was a young trainer and first started training my Border Collie Splash, I hoped to show that all the tricks that circuses could do were possible without using intimidation. I delighted in teaching her a walking handstand (as seen in the picture) and watching my friends teach their dogs. It was only later that I found out that certain tricks could be bad for their body in the long run if done repetitively or for extended periods of time… In my seminar video I demo how to train a walking handstand. And now I regret that I included it. I realize that handstands and standing upright on the back legs for brief periods can be perfectly fine for dogs with the right structure and conditioning, but it’s when it becomes prolonged and repeated… and then the stress of performance adds in the “have to” aspect… My latest dog has been doing a 10-20 second handstand since she was a puppy when she pees, yes, I know it’s weird. 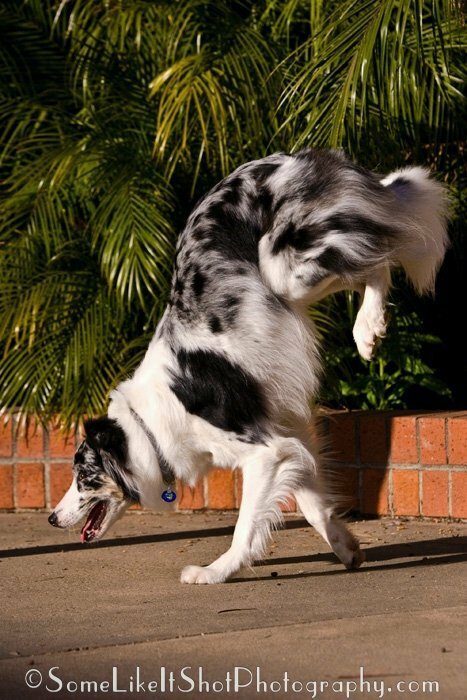 There are quite a few dogs who do handstands when they pee as a natural behavior. But I have decided not to teach her the walking handstand, in order not to promote others pushing it to the limits. When I first started training I did not know that dogs have “floating shoulders”. That their shoulders are not connected to their body by the clavicle like ours are. 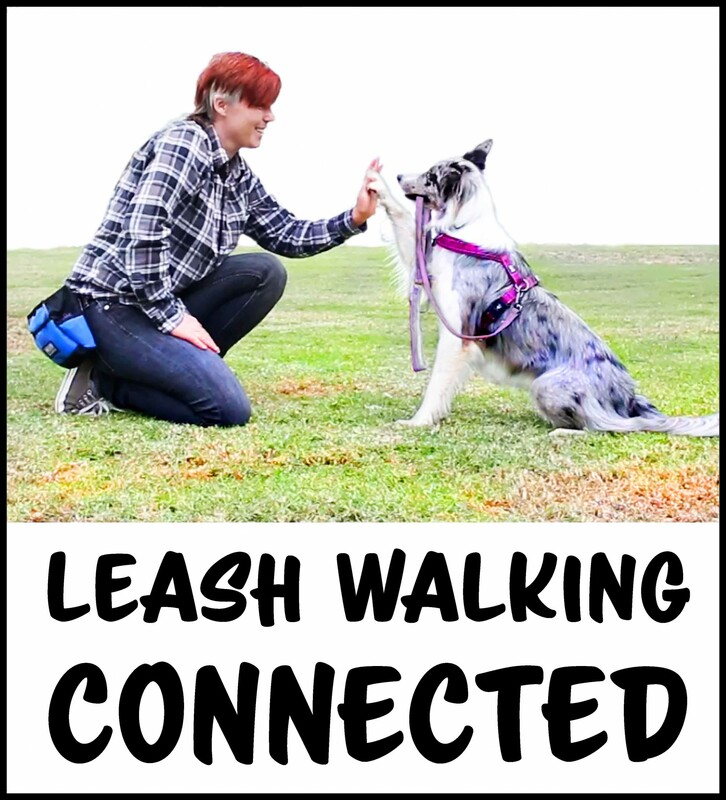 I’m not saying anyone having their dog do walking handstands is a bad thing, just that it is important to get advice from a physical therapist in case it is not good for your particular dog. The physical therapist can also tell you how long and how many repetitions are ok. A friend of mine’s Pomeranian offers the walking handstand without being cued because he likes the trick so much. I think that’s wonderful. But when you see a dog standing on their back legs or in a hand stand for an extended period of time, it’s hard to know where the line blurs from ethical training to old-school circus training… especially when the dog is either prevented from getting out of position with physical or social pressure. Back flips do look amazing. I was enchanted by them when I first started training. Some dogs have been doing back flips all their lives and have not missed the landing. However, other dogs have missed their landing, because when doing a back flip, the dog cannot see where they are going to land. Basically the same injuries could occur as from the dog being dropped on their head. They could be fine or they could not be fine at all. My question is, Should we put dogs in this situation where their safety is compromised for the entertainment of others if something goes wrong? As well as should we promote a trick that others will copy? If you do push the boundaries of safety, I suggest not just telling others not do the trick, but also tell them exactly how much work you put in with conditioning, warm ups and cool downs before training, how you have a specifically planned injury prevention program, how you have x-rayed your dog, and seen a physical therapist to make sure your dog’s health is not compromised by the tricks. This will insure the safety of all the dogs of your viewers and admirers. We have all made the mistake of jumping off something that is too high, and being surprised by how hard the landing feels. Don’t forget every joyful jump does end with a landing that jolts the joints. For me, standing on my coffee table, that’s not even that high… then jumping off, really jolts my knees. When you practice repetitive jumping or jumping high it’s important to find out the costs and benefits. Especially if some of the costs are not immediately visible and that will show up only later in the dog’s life. If someone else is doing it, even if they are a professional, it doesn’t necessarily mean it’s safe for your animal to do. Think about jumping up and down on cement, then on a beach where the sand is too giving, then on grass. Most likely you would want to jump up and down on grass or a mat that has the same give as a grass field, so would animals. It is also extremely important that the training and performing surface be non-slip. If you are organizing an event please keep in mind a hard slippery surface is not in the best interest of the animal. Celebrate that the animal is a willing participant. Avoid set-ups where it’s hard to tell if the animal has a choice. It’s hard to tell if the animal is a willing participant if he is carried then placed into a position, or placed on a platform and the only escape is to cross a precarious rope, for example. Perhaps the animal enjoys being carried and carrying out the tricks, but I suggest to make more of an effort to promote the fact that they were trained by choice by letting the animal get into the starting position themselves. If you watch old-school circus performance based on “have to” you will see that animals are carried then placed on their back feet or in a hand stand position. If the animal gets out of position they are poked, whipped or forced back into the position with a rope, an intimidating body posture or tone of voice. It’s also hard to tell if the animal is willing when tricks are done TO the animal. Some extremes I’ve seen are people juggling their dog like a juggling ball. Again, perhaps the dog loves it… but what is the message that is being sent? The dog is being objectified and there is the possibility it will encourage others to do the same. What can you do as a spectator? As a spectator or dog enthusiast you can write to organizations to tell them how you loved the performance and that you preferred the creative tricks over the ones that potentially compromised the animal’s physical or mental health. Too Much of a Good Thing: Are the Activities your Dog Loves Doing Making him Sick?